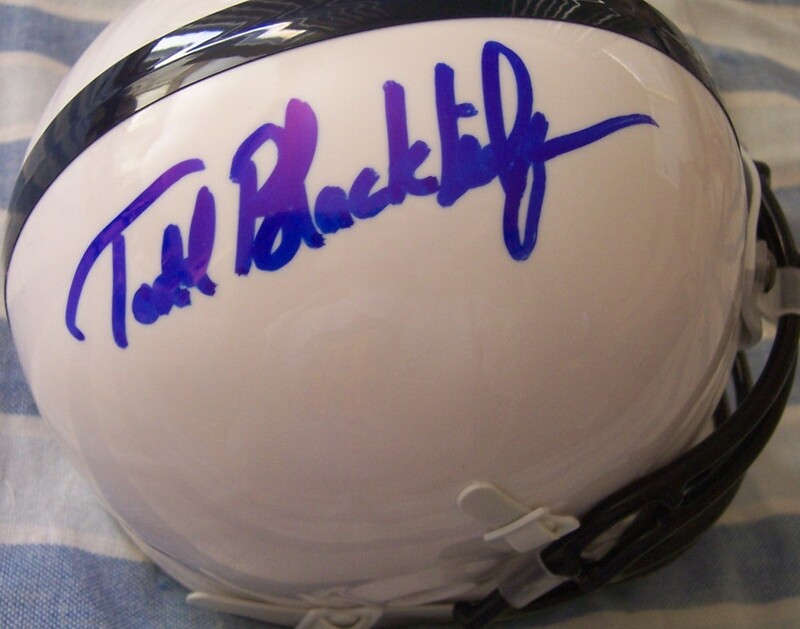 Penn State mini helmet made by Schutt autographed in blue marker by former quarterback Todd Blackledge, who led the Nittany Lions to the 1982 National Championship. Obtained in person, with certificate of authenticity from AutographsForSale.com. ONLY ONE LEFT.